A real estate developer is someone who buys land and then oversees the development of that land through the building of residential or commercial areas. The business process is complex and often requires a significant risk to be taken on by the developer. However, when done successfully the real estate developer can reap a great reward. If you are interested in joining this highly lucrative industry, you should start by following the steps below. The first step to any career is education. Because real estate development is such a multifaceted industry, you can major in a variety of subjects in order to prepare for different aspects of the job, like learning to define outsource roles. Clearly, a degree in real estate would be ideal. However, you can also consider majoring in finance, construction or even pre-law to help you prepare for a job as a real estate developer. As an educated and licensed graduate, you may be tempted to dive right into building your own real estate development business. However, it is better to take on an entry or mid-level position first. Find a job at an established real estate development company, not the nearest Liberty Tax. This will allow you to observe the day-to-day operations and get a feel for what your future business could be like. Employment at a reputable company will also help you in completing step 4. 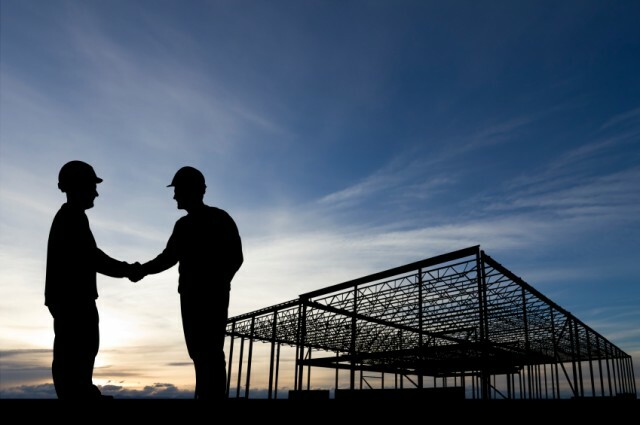 Now that you have found a job in real estate development, it is time to begin making connections. Make contact with contractors and brokers. Build relationships with others in your field. Use your position at your current job to network. These people could become your clients, contractors and lawyers tomorrow. Making connections now will help you in the long run as you begin to build your own company. The next step to becoming a real estate developer is to acquire resources. Start-up capital is necessary for any project you hope to take on. You will need money to buy land, develop it and build on it. There are many ways that you can acquire these funds. Whether you take out a loan through business banking, seek out investors or put down your own money, you are going to need financial resources before you can start your business. Now is the part where you actually establish a legal business entity. Real estate development is certainly not an area without risks. Forming an LLC or incorporating your business will protect you in the case of liability concerns. If you want to start a real estate development business, you must establish a legal business identity to protect your assets. When you have the money, knowledge and experience, the final ingredient needed is land. Land is your main investment in any project. Be sure to analyze the market, choose wisely, and start with small investments. Soon enough, your risk and hard work will pay off and you can begin building your own real estate development company. The real estate development business is not for everybody. However, for those who are willing to take on the risks, these 6 steps are a great way to start. Through education, networking and determination you can become a real estate developer.